So Google just released a new Google Wallet app through Google Play, except there is something odd going on here. This isn’t an update to your current Google Wallet app. Instead, it’s a brand new app with a brand new UI. Does that mean an update to the old Google Wallet app that will turn it into Android Pay is incoming? Maybe. You can install it at the link below. Update: OK, so here is the deal from what we can tell. This is the new Google Wallet app that will be used to either send money with or for use with the Wallet Card (Remember that thing?). Android Pay, as described at this FAQ page that just popped up in the old Google Wallet, is just the secure way to pay in stores, at terminals, etc. like you used to do with Google Wallet. Android Pay will take over the old Google Wallet app through a soon-to-be-released update. 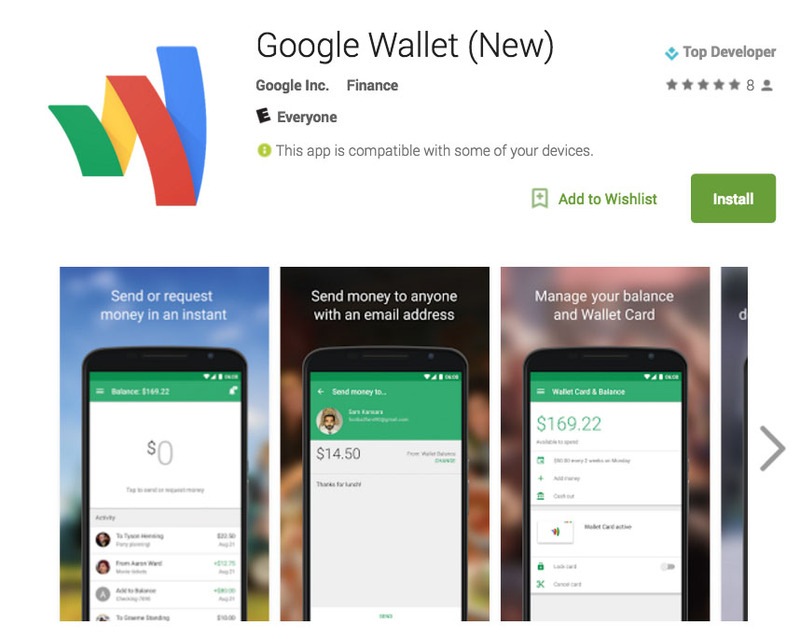 Update 2: Here is Google’s announcement for the new Wallet app. This new app is quite slick. From the quick ways to initiate payments between friends, to its control over the Wallet Card, it’s well done. With that said, bring on Android Pay.